Our practice covers a broad range of commercial and legal services, with specialists in commercial litigation and dispute resolution, construction law, corporate law, property law, leasing and insolvency. If you are unsure of whether we practice in a certain area or in relation to a certain matter, please contact us and we will advise you if your matter is within our areas of expertise. We draft, review, negotiate and advise in relation to terms of building related contracts including Australian Standard Contracts AS2124 and AS4000. We also prepare and advise in relation to tender documents, consultancy and management contracts, partnerships and joint venture agreements. We have experience in project finance, contract management and administration, claims advice and arbitration and other forms of dispute resolution where required. Commercial law is a very broad area of our practice. We provide advice and prepare agreements in relation to a wide range of commercial activities including sale and purchase of businesses and assets, option agreements, heads of agreement, partnerships, joint ventures, shareholder and unit holder agreements, unincorporated associations, carbon sequestration, greenhouse friendly and CPRS, terms of trading, franchising, licensing and privacy. All of the advice we provide and agreements we prepare take into account the relevant stamp duty considerations. We believe that often disputes can be avoided with initial effective drafting of agreements. To assist in minimizing disputes we prepare clear, plain English agreements which record the parties’ commercial objectives in a legally effective way. Lawton Gillon acts and appears in all Western Australian and Commonwealth courts and tribunals, including the Supreme Court, the Federal Court, the District Court, the Magistrates Court and the State Administrative Tribunal. We also have experience in acting in interstate courts. 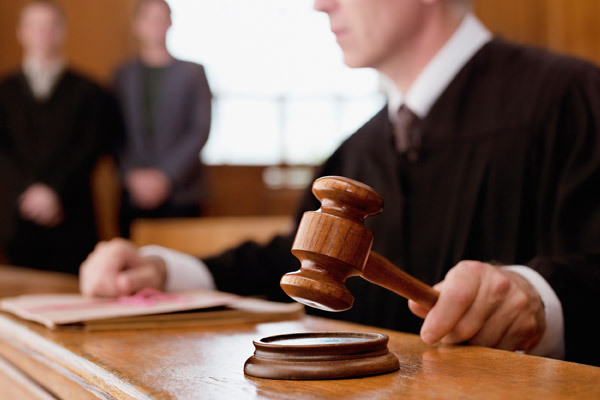 We have extensive experience in all types of commercial litigation. We act and provide practical and commercial advice in relation to all stages of court proceedings, including making the decision to commence or defend proceedings, issuing or defending the proceedings, all preliminary proceedings prior to a hearing, mediation, the conduct of the hearing and litigation strategies generally. Our focus in any litigation proceedings is achieving a timely, commercial and cost effective solution for our clients. Lawton Gillon advises on all corporate matters under the Corporations Act and the ASX Listing Rules. We have extensive experience in the promotion and listing of companies on the ASX, including the preparation of prospectuses, due diligence and compliance with ASIC and ASX requirements. We advise on and prepare the necessary documentation for capital raisings, underwritings, takeovers and AIM Listings. Details of some of the transactions we have acted on are contained on our “Corporate Transactions” page. We also advise in relation to the incorporation of companies, share and asset acquisitions, share buybacks, related party transactions, capital reductions, directors’ and shareholders’ meetings, directors’ duties, corporate governance and the affairs of Pty ltd companies. We advise on the best debt recovery methods for all types of debts, including outstanding contractual payments, outstanding rent and other monies under leases and outstanding loans. Our debt recovery strategies include deeds of acknowledgement of debt, letters of demand, lodging caveats where a caveatable interest exists, summonses and other court action, statutory demands, actions for possession of properties, commencing winding up and bankruptcy proceedings and enforcement of judgments. We prepare and advise in relation to all types of finance, loan and security documents, including loan agreements, mortgages, charges, guarantees, bailment agreements and deeds of priority. We also advise and assist in relation to the enforcement of loans and securities, including issuing court proceedings. We prepare and advise in relation to Wills and Enduring Powers of Attorney. We obtain Grants of Probate for Wills and Letters of Administration where no Will exists. We advise in relation to possible inheritance claims. We also assist private executors with the administration and management of estates. If you are unsure of whether we practice in a certain area or in relation to a certain matter please contact us and we will advise you if your matter is within our areas of expertise. As an alternative to litigation we seek solutions to our clients’ disputes through mediation and alternative dispute resolution such as arbitration and expert determination. We strongly believe in mediation of disputes at the earliest possible opportunity and are highly successful in achieving the best possible negotiated outcomes for our clients either without commencing legal proceedings or at the early stages of legal proceedings. Since it was established Lawton Gillon has always had a very good reputation in the mining and resources sector. We advise on and prepare sale and purchase of mining tenement agreements, option agreements, farm-in agreements, royalty agreements, access agreements and joint venture agreements. We advise on the Mining Act (WA) and other legislation relevant to the mining industry and act on Warden’s Court matters. We have extensive experience and an in-depth commercial and legal understanding of the property sector. We act and advise in relation to all commercial property transactions, including contract preparation and negotiation, off the plan contracts and product disclosure statements, due diligence, developments, subdivisions, strata titling, joint ventures, liquor licensing, town planning considerations, foreign investment approvals, environment and contamination issues and generally advising in relation to the enforceability of contracts. We have an extensive leasing practice and act for numerous landlords. We prepare leases and licences and all associated documentation such as assignments, variations, renewals and subleases. We also provide advice in relation to the interpretation of leases, rent reviews and leasing disputes generally. We act as settlement agents handling all aspects of sales and purchases of residential and commercial property. We have a detailed knowledge of the REIWA general conditions and provide prompt commercial advice to ensure that settlements are completed on time and our clients obtain the full benefits of their contracts. Except for complicated transactions, our charges for acting on settlements do not exceed the Settlement Agents Scale. We provide advice in relation to trade practices disputes and competition law. If you want to instigate or defend enforcement action, we have experience in resolving trade practice disputes. We also have experience in relation to ACCC investigations. We prepare discretionary (family) and unit trust deeds and provide advice in relation to all aspects of trusts, including variations of trusts, appointment and removal of trustees and the administration of trusts.